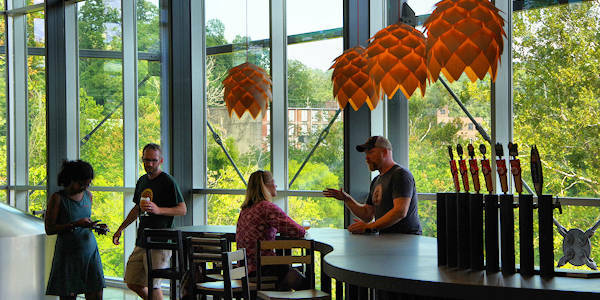 New Belgium Brewing opened its riverside brewery and "Liquid Center" tasting room (21 Craven Street) in 2016 near downtown Asheville. Sample their locally made beers on Monday-Saturday, 11 AM-8 PM and Sunday 12 Noon-8 PM. 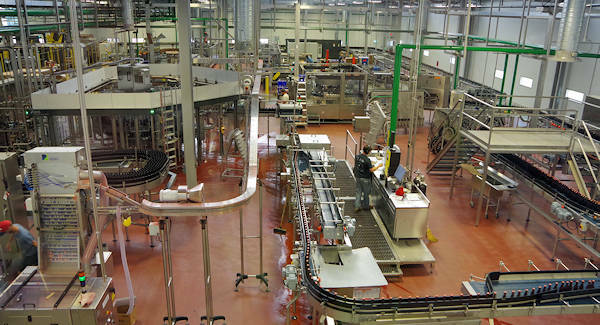 Take a brewery tours with advance online booking (read more below). 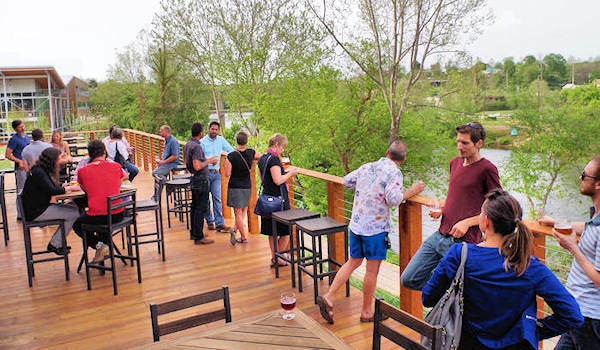 The tap room perched above the French Broad River is clad in local artist-made bars, tables and chairs crafted from nearly 14 linear miles of repurposed wood salvaged from the stockyard that was previously located here. 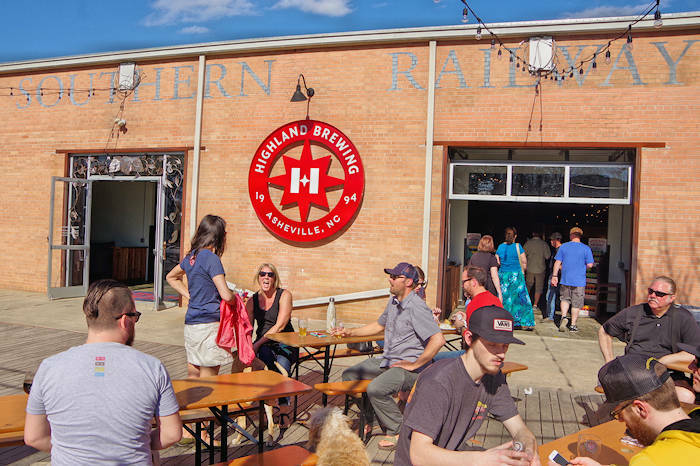 Year-round and current seasonal offerings are always on tap, and series beers are available upon release. Soak in the views from the cantilevered deck perched above the new greenway and French Broad River. 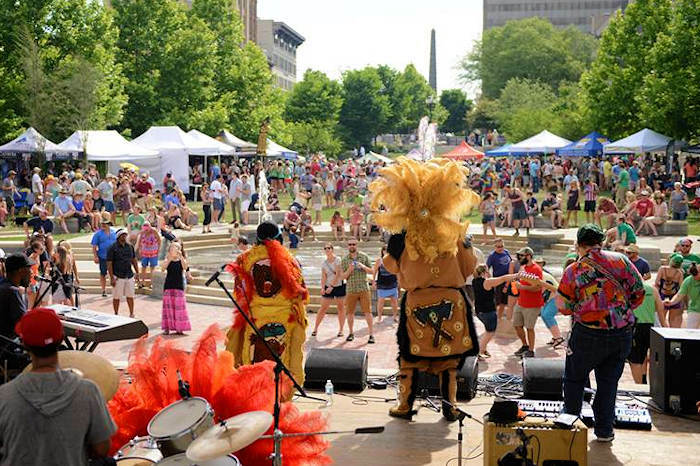 Local food trucks will offer a variety of fare, and an event lawn hosts bike in movies and outdoor fun. 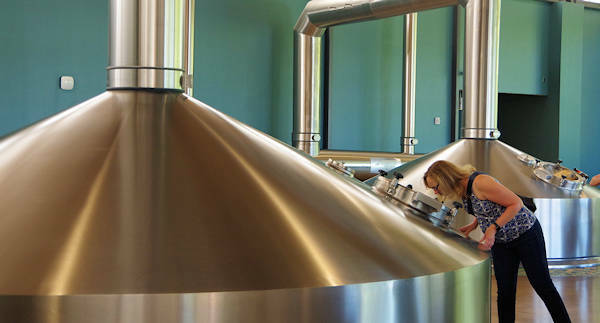 Take a free tour of the amazing brewery! The 90-minute tours require a reservation and start every 30 minutes 11:30 AM-4:30 PM. Click here to book a tour online. 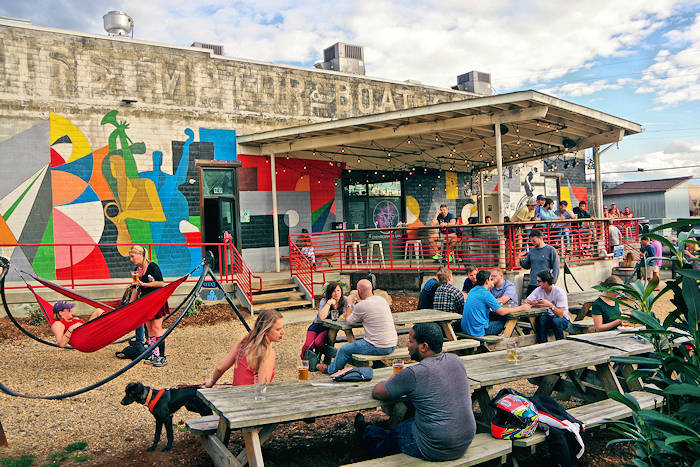 Known for its sustainable business practices, the Fort Collins, CO, brewery purchased the 18-acre urban brownfield property in West Asheville as a targeted, sustainable, urban in-fill development strategy with plenty of green features. Innovations include repurposed materials from deconstructed buildings on the site, high efficiency cooling and distributed heating and cooling, solar hot water and PV, natural ventilation, and HVAC and process heat recovery. 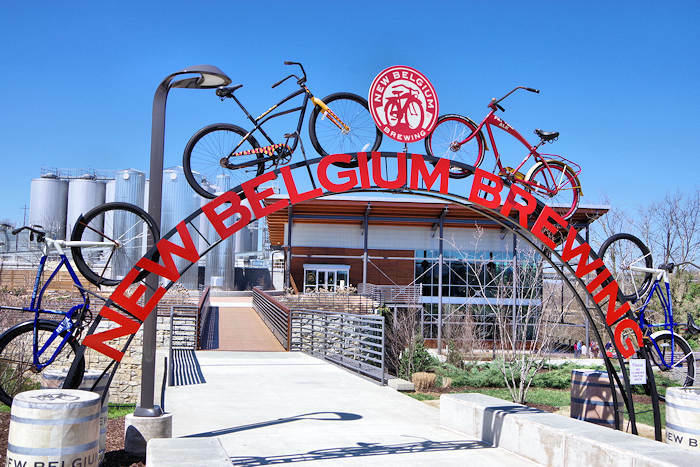 Also, New Belgium partnered with the City of Asheville on the restoration of Penland Creek and development of the adjacent greenway along the French Broad River. Learn about the many more environmentally friendly features on your tour.